This article is about amending the U.S. Constitution. For the proposal to reform and rewrite the Constitution, see Second Constitutional Convention of the United States. A convention to propose amendments to the United States Constitution, also called an Article V Convention or amendments convention, called for by two-thirds (currently 34) of the state legislatures, is one of two processes authorized by Article Five of the United States Constitution whereby the United States Constitution may be altered. Amendments may also be proposed by the Congress with a two-thirds vote in both the House of Representatives and the Senate. To become part of the Constitution, an amendment must be ratified by either—as determined by Congress—the legislatures of three-fourths (presently 38) of the states, or state ratifying conventions in three-fourths of the states. Thirty-three amendments to the United States Constitution have been approved by Congress and sent to the states for ratification. Twenty-seven of these amendments have been ratified and are now part of the Constitution. As of 2019[update], the amendment convention process has never been used for proposing constitutional amendments. While there have been calls for an "Article V Convention" based on a single issue such as the balanced budget amendment, it is not clear whether a convention summoned in this way would be legally bound to limit discussion to a single issue; law professor Michael Stokes Paulsen has suggested that such a convention would have the "power to propose anything it sees fit", whereas law professor Michael Rappaport and attorney-at-law Robert Kelly believe that a limited convention is possible. In recent years, some have argued that state governments should call for such a convention. They include Michael Farris, Lawrence Lessig, Sanford Levinson, Larry Sabato, Jonathan Turley, Mark Levin, Ben Shapiro, and Greg Abbott. In 2015, Citizens for Self-Governance launched a nationwide effort to call an Article V Convention, through a project called Convention of the States, in a bid to rein in the federal government. As of 2019[update], CSG's resolution has passed in 15 states. Similarly, the group Wolf PAC chose this method to promote its cause, which is to overturn the U.S. Supreme Court's decision in Citizens United v. FEC. Their resolution has passed in five states. One of the main reasons for the 1787 Convention was that the Articles of Confederation required the unanimous consent of all 13 states for the national government to take action. This system had proved unworkable, and the newly written Constitution sought to address this problem. The first proposal for a method of amending the Constitution offered in the Constitutional Convention, contained in the Virginia Plan, sought to circumvent the national legislature, stating that "the assent of the National Legislature ought not to be required." This was subsequently modified by the Committee of Detail to include a process whereby Congress would call for a constitutional convention on the request of two-thirds of the state legislatures. During the debate on the Committee of Detail's report, James Madison expressed concern about the lack of detail in the article regarding how the convention amendment process would work, stating that "difficulties might arise as to the form" a convention would take. He later proposed removing reference to the convention amendment process, thus giving the national legislature sole authority to propose amendments whenever it thought necessary or when two-thirds of the states applied to the national legislature. Several delegates voiced opposition to the idea of the national legislature retaining sole power to propose constitutional amendments. George Mason argued from the floor of the Convention that it "would be improper to require the consent of the National Legislature, because they may abuse their power, and refuse their consent on that very account." Mason added that, "no amendments of the proper kind would ever be obtained by the people, if the Government should become oppressive." In response to these concerns, the Convention unanimously voted to add the language allowing states to apply to Congress for a convention to propose amendments to the Constitution. A frequent question is whether applications from the states can omit to mention subject matter, and instead request an unlimited convention. Past practice suggests that separate unlimited applications submitted to Congress at different times are not allowed. Article V itself calls for "the application of the legislatures" instead of calling for plural "applications". States have requested that Congress convene an Article V convention to propose amendments on a variety of subjects. According to the National Archives, Congress has, however, never officially tabulated the applications, nor separated them by subject matter. On at least one occasion though, the Congressional Record has included such a tabulation, which indicated that, as of 22 September 1981[update], thirty states had made a request for a balanced budget amendment. In 1993, professor Michael Paulsen and his research staff assembled a listing of all state applications to date, but neither Paulsen's list, nor any other, can be safely characterized as "complete" since there may very well be state applications that have been overlooked and/or forgotten. According to James Kenneth Rogers, the drafting history of Article V indicates that states may limit the subject matter of their applications, and that Congress has a duty to tally applications separately by subject matter. Moreover, Rogers asserts that states may not make a general application without specifying the subject or subjects to be addressed by the convention. Rogers points out that, during the drafting process, the Philadelphia Convention at one point adopted a version of Article V that gave power to Congress to propose amendments when two-thirds of both houses agreed, or to propose amendments without a congressional supermajority "on the application of two thirds of the Legislatures of the several states." This draft version of Article V lacked any provision for a constitutional convention requested by the states, and instead included language almost identical to the final version of Article V but giving states the power to apply to Congress for amendments without any convention. The draft language suggests that states applying to Congress for amendments would have to say what sort of amendments they were applying for, because a general petition (that is, one not limited by subject matter) asking Congress to propose amendments would serve little purpose "beyond notifying Congress that two‐thirds of the States thought that some unknown changes to the Constitution were desirable." Therefore, due to the similarity between the draft and final versions, Rogers contends that state applications to Congress must specify subject matter, and must be tallied individually by subject matter to determine whether the two-thirds threshold of state applications has been met. A dissenting view has been expressed by Michael Stokes Paulsen, a professor at the University of St. Thomas School of Law. Paulsen has argued that state applications for an Article V convention limited to a particular subject matter are invalid and that only applications that include a call for an unrestricted convention are valid. If Paulsen's criteria that state applications must not be limited to particular subject matter and that rescissions by states are valid, as of 1993 a total of forty-five states had pending applications meeting this criteria. According to Paulsen, therefore, Congress has had a duty to call a convention for many years. The fact that Congress has not called such a convention, and that courts have rejected all attempts to force Congress to call a convention, has been cited as persuasive evidence that Paulsen's view is incorrect. Because no Article V convention has ever been convened, there are various questions about how such a convention would function in practice. One major question is whether the scope of the convention's subject matter could be limited. The language of Article V leaves no discretion to Congress, merely stating that Congress "shall" call a convention when the proper number of state applications have been received. Comments made at the time the Constitution was adopted indicate that it was understood when the Constitution was drafted that Congress would have no discretion. In The Federalist, Alexander Hamilton stated that when the proper number of applications had been received, Congress was "obliged" to call a convention and that "nothing is left to the discretion of Congress." James Madison also affirmed Hamilton's contention that Congress was obligated to call a convention when the requisite number of states requested it. In the North Carolina debates about ratifying the Constitution, James Iredell, who subsequently became one of the founding members of the Supreme Court, stated that when two-thirds of states have applied to Congress for a convention, Congress is "under the necessity of convening one" and that they have "no option." By citing the Constitution's Necessary and Proper Clause, Congress has tried to enact a statute to regulate how an Article V convention would function. Sponsored by the late Senator Sam Ervin, such a bill passed the U.S. Senate unanimously in 1971 and again in 1973, but the proposed legislation remained bottled up in the Committee on the Judiciary in the U.S. House of Representatives and died both times. Senator Orrin Hatch made a similar proposal several times in the late 1980s culminating in 1991 with no more success. Opponents to congressional regulation of an Article V convention's operations argue that neither Article I nor Article V of the Constitution grants Congress this power, and that the Founders intended that Congress "have no option." There has been no opportunity for federal courts to decide whether Congress has such authority because such legislation has never been adopted by Congress. Some scholars believe that states have the power to limit the scope of an Article V convention. Larry Sabato is one scholar who advanced that view. Some feel that Congress's duty to call a convention when requested by the states means that it must call the convention that the states requested. If the states, therefore, request a convention limited to a certain subject matter, then the convention that is called would likely need to be limited in the way the states requested. If states have the power to limit an Article V convention to a particular subject matter, and Congress only has power to call a convention but no further power to control or regulate it, then a potential concern becomes whether an Article V convention could become a "runaway convention" that attempts to exceed its scope. If a convention did attempt to exceed its scope, none of the amendments it proposed would become part of the constitution until three-fourths of the states ratified them, which is more states than are required to call a convention in the first place. Some proponents of a convention express doubt that an Article V convention would exceed its scope, in light of the United States' experience with state constitutional conventions; over 600 state constitutional conventions have been held to amend state constitutions, with little evidence that any of them have exceeded their scope. This is reinforced by the fact that prior to the 1787 Philadelphia Convention, there were many other conventions of the states (some called by Congress, but most called by the states themselves) where the delegates operated within the scope of their commissions. Further, at many Conventions, States have directly controlled their delegates. In the New Hampshire Convention to ratify the U.S. Constitution, delegates were sent with instructions to vote against the Constitution. When they were convinced that the voters had been mistaken, the delegates returned to their constituents to convince them and request new instructions, allowing the Convention to represent the true voice of the people. Similarly, in the 1787 Convention, two of New York's delegates left in protest. The New York State Legislature had created a rule that required two delegates to agree to cast a vote on behalf of the state. The legislature opted not to send new delegates and so Alexander Hamilton accepted the authority of the state and was unable to cast a vote for the remainder of the Convention. This is the fundamental difference between a Delegate to a Convention, there to do the bidding of their constituents, and a Representative to a Legislature, there to stand in place of their constituents and make decisions based on their own deliberation. The delegates to the 1787 Constitutional Convention did disregard Congress's recommendation to "solely amend the Articles" but as Madison noted in Federalist No. 40, the resolution Congress passed in February 1787 endorsing the Convention was only a recommendation. Regardless, the delegates sent nothing to the States at all, sending their new Constitution to Congress, as was their mandate. Congress debated the matter before voting to send it on to the States for ratification with no recommendation for or against. The legislatures of some states have adopted rescissions of their prior applications. It is not clear from the language of Article V whether a subsequent vote to rescind an application is permissible. As discussed above, however, if the purpose of Article V is to give state legislatures power over a recalcitrant Congress—and if state lawmakers may indeed limit their applications by specific subject matter—it is possible that federal courts would hold that rescissions of previous applications are likewise valid, in order to give more meaningful effect to the power which Article V confers upon state legislators. If it is ultimately adjudicated that a state may not rescind a prior application, then Ohio's 2013 application for a balanced budget amendment convention would be the 33rd and Michigan's 2014 application would be the 34th (out of the necessary 34) on that topic, rather than the 20th and 22nd, respectively. The balanced budget amendment applications by Ohio and Michigan were new, first-time convention applications, whereas the renewed applications from Alabama, Florida, Georgia, Louisiana, New Hampshire, North Dakota, Tennessee, South Dakota, and Utah simply reprised applications made by those states during the 1970s but which had been rescinded during the period between 1988 and 2010. Those[who?] arguing that rescission is impossible often also argue that you can combine different topics. Congress has more than enough applications on a single issue if you do not count rescission and more than enough applications on multiple topics if you do count rescission. Consequently, if a State believes that combining topics could be done by Congress, even if a State feels that doing so would be contrary to the intent of the Constitution, then they would also have to conclude that Congress can ignore rescission, making an effort to rescind an Article V Convention for a topic with which a legislature agrees a fruitless prospect. Since 2016, four state legislatures (Delaware, New Mexico, Maryland, and Nevada) have rescinded their applications to call for an Article V convention to enact a federal balanced budget amendment. Dodge v. Woolsey, 59 U.S. 331 (1855): "[The people] have directed that amendments should be made representatively for them, by the Congress ...; or where the legislatures of two thirds of the several States shall call a convention for proposing amendments, which, in either case, become valid, to all intents and purposes, as a part of the constitution, when ratified ..."
Hawke v. Smith, 253 U.S. 221 (1920): "[Article V] makes provision for the proposal of amendments either by two-thirds of both houses of Congress or on application of the legislatures of two-thirds of the states, thus securing deliberation and consideration before any change can be proposed. The proposed change can only become effective by the ratification of the legislatures of three-fourths of the states or by conventions in a like number of states. The method of ratification is left to the choice of Congress." Dillon v. Gloss 256 U.S. 368 (1921): In a ruling upholding Congress's authority to place a deadline on a particular Constitutional amendment's ratification, the Court reaffirmed that "A further mode of proposal—as yet never invoked—is provided, which is that, on the application of two-thirds of the states, Congress shall call a convention for the purpose." United States v. Sprague, 282 U.S. 716 (1931): "[A]rticle 5 is clear in statement and in meaning, contains no ambiguity and calls for no resort to rules of construction. ... It provides two methods for proposing amendments. Congress may propose them by a vote of two-thirds of both houses, or, on the application of the legislatures of two-thirds of the States, must call a convention to propose them." Because of the political question doctrine and the Court's ruling in the 1939 case of Coleman v. Miller (307 U.S. 433), it remains an open question whether federal courts could assert jurisdiction over a legal challenge to Congress, if Congress were to refuse to call a convention. Harvard Law School professor Lawrence Lessig has called for a Second Constitutional Convention of the United States. Every state except Hawaii has applied for an Article V Convention at one time or another. The majority of such applications were made in the 20th century. Before any official count had been taken, one private count puts the total number of applications at over 700. This is widely considered an overestimate. The House of Representatives is in the process of building its own official count which currently stands at over 120 with 35 states having current live calls that have not been rescinded. This is an underestimate as it so far does not include anything before the 1960s and there are many known Convention calls not yet included. Both Wolf PAC and the Convention of the States estimate, based on spot checking, that the real figure is in the range of 400 calls. Even though the Article V Convention process has never been used to amend the Constitution, the number of states applying for a convention has nearly reached the required threshold several times. Congress has proposed amendments to the Constitution on several occasions, at least in part, because of the threat of an Article V Convention. Rather than risk such a convention taking control of the amendment process away from it, Congress acted pre-emptively to propose the amendments instead. The Bill of Rights, which includes the first ten amendments, as well as the Twenty-seventh Amendment, were proposed in part because of a Convention application by the New York and Virginia legislatures at the suggestion of a letter from the New York State Convention to ratify the Constitution. The Convention would have been limited to those changes discussed at the various State ratifying Conventions. At least four other amendments (the Seventeenth, Twenty-First, Twenty-Second, and Twenty-Fifth Amendments) have been identified as being proposed by Congress at least partly in response to the threat of an Article V convention, bringing the total to 15 out of 27, a majority of the Amendments. In the late 1890s, the House of Representatives passed multiple resolutions for a constitutional amendment providing for direct election of senators. The Senate refused to consider those resolutions. In 1893, Nebraska filed the first Article V application for direct election of senators. By 1911, 29 states had Article V convention applications on file for an amendment providing for direct election of senators, just two short of the 31-state threshold. As new states were being added the threshold increased, however those States had already passed resolutions supporting such a Convention. The final count is somewhat uncertain, but when either one or two further states were required the Senate finally conceded and passed its version of an amendment in May 1911, which was then approved by the House in 1912 and submitted to the states. There have been two nearly successful attempts to amend the Constitution via an Article V Convention since the late 1960s. The first try was an attempt to propose an amendment that would overturn two Supreme Court decisions, Wesberry v. Sanders and Reynolds v. Sims, decisions that required states to adhere to the one man, one vote principle in drawing electoral districts for state and federal elections. The attempt fell only one state short of reaching the 34 needed to force Congress to call a convention in 1969, but ended by the death of its main promoter Senator Everett Dirksen. After this peak, several states (whose legislatures by this point had been re-engineered in the wake of the rulings) rescinded their applications, and interest in the proposed amendment subsided. In response to increasing federal deficits, a movement in the 1970s by the states to impose fiscal discipline on the federal government began. Between 1975 and 1979, thirty states petitioned Congress for a convention to write a balanced budget amendment. By 1983, the number of applications had reached 32, only two states short of the 34 needed to force such a convention. In addition, at least four states (California, Illinois, Kentucky, and Montana) had adopted resolutions requesting that Congress propose a deficit spending amendment. California and Montana were set to hold ballot initiatives that would have forced their legislatures to file convention applications, but state courts ruled the two ballot initiatives unconstitutional, and the effort stalled. Enthusiasm for the amendment subsided in response to fears that an Article V Convention could not be limited to a single subject and because Congress passed the Gramm–Rudman–Hollings Balanced Budget Act in 1985((The act was overturned by the Supreme Court in 1986 but Congress enacted a reworked version of the law in 1987). By 1989, two states (Alabama and Florida) had rescinded their applications. Similar recisions were passed in Nevada (1989), Louisiana (1991), Colorado (1992), Oregon (1999), Idaho (2000), Utah, (2001), North Dakota (2001) Wyoming (2001), Arizona (2003) and Georgia (2004). Recently the movement has seen a revival. On November 20, 2013, the Ohio General Assembly applied to Congress for a convention to propose a balanced budget amendment. This effort made Ohio the 20th state to join a push for a national convention of states. On March 26, 2014, the Michigan Legislature applied to Congress for a convention to propose a balanced budget amendment, making Michigan the 22nd to participate in the national effort. On April 27, 2016, the Oklahoma Senate approved an Article V convention on a balanced budget amendment, making Oklahoma the 29th state to participate in the national effort. On November 7, 2017, the Wisconsin Legislature approved an Article V convention resolution for a balanced budget amendment. A political action committee called Wolf PAC emerged from New York's Occupy Wall Street movement in October 2011. Wolf PAC calls for a convention of states in order to propose a constitutional amendment that addresses the issue of campaign finance. The resolution reads "Corporations are not people. They have none of the Constitutional rights of human beings. Corporations are not allowed to give money to any politician, directly or indirectly. No politician can raise over $100 from any person or entity. All elections must be publicly financed." As of 2019[update], Wolf PAC's application had been passed in five states: Vermont, Illinois, California, Rhode Island, and New Jersey. The conservative group Citizens for Self-Governance (CSG) is engaged in an ongoing effort to call an Article V Convention. Through its "Convention of States Project", CSG is seeking "to urge and empower state legislators to call a convention of states." CSG states that it initiated the Convention of States project "for the purpose of stopping the runaway power of the federal government." Mark Levin has supported CSG's efforts to a call a convention for the purpose of proposing amendments to the constitution. In December 2013, nearly 100 legislators from 32 states met at Mount Vernon to talk about how to call a convention of states. According to Slate, "The meeting lasted four hours, ending when legislators agreed to meet again in the spring of 2014. That’s the most progress anyone’s made in decades toward a states-first constitutional amendment campaign." In February 2014, U.S. Senator Tom Coburn announced that after his retirement from Congress, he would focus on promoting the Convention of States to state legislatures. In December 2015, Marco Rubio endorsed CSG's efforts to a call an Article V Convention. In January 2016, Texas Governor Greg Abbott called for a Convention of States to restrict the power of the federal government. In June 2017, former U.S. Senator and former Heritage Foundation president Jim DeMint announced his role as a senior adviser for the Convention of States project. In September 2016, CSG held a simulated convention to propose amendments to the United States Constitution in Williamsburg, Virginia. An assembly of 137 delegates representing every state gathered to conduct a simulated convention. The simulated convention passed amendments relating to six topics, including requiring the states to approve any increase in the national debt, imposing term limits, restricting the scope of the Commerce Clause, limiting the power of federal regulations, requiring a supermajority to impose federal taxes and repealing the 16th Amendment, and giving the states the power to abrogate any federal law, regulation, or executive order. As of 2019[update], CSG's application for a Convention of States has been passed in 15 states. A Super PAC called Single Subject Amendment registered with the Federal Election Commission on March 1, 2013. It is actively engaged in an effort to call an Article V Convention for the limited purpose of proposing an amendment to provide every law enacted by Congress shall embrace only one subject which shall be clearly expressed in the bill's title. Forty-one state constitutions have a single subject provision but this provision is not in the United States Constitution. In April 2014, Florida became the first state to make an application for an Article V Convention to constitutionally prohibit unrelated riders in Congress. ^ "The Constitutional Amendment Process". The U.S. National Archives and Records Administration. Retrieved November 17, 2015. ^ Korte, Greg. "Balanced budget amendment push sparks debate", USA Today (November 29, 2011). ^ Rappaport, Michael. "The Constitutionality of a Limited Convention: An Originalist Analysis", Constitutional Commentary, Vol. 81, p. 53 (2012). ^ Kelly, Robert. "An Article V Convention Can Be Limited". Convention of States. Retrieved March 21, 2016. ^ a b James O'Toole (December 12, 2011). "Constitutional convention call gains traction". Pittsburgh Post-Gazette. Retrieved December 14, 2011. Article V of the Constitution, however, in the same section that set up that procedure, set forth the legal possibility for the legislatures of two-thirds of the states to instruct Congress to call a constitutional convention, a mechanism, in the view of some government critics, whose time has come. ^ Gregory Korte (November 29, 2011). "Balanced budget amendment push sparks debate". USA Today. Retrieved December 14, 2011. Some supporters of a balanced budget amendment to the Constitution are turning to a method last used by the founding fathers: A constitutional convention. ^ Christopher Shea (November 2, 2011). "Time for a Constitutional Convention?". Wall Street Journal. Retrieved December 14, 2011. As you might guess, they’re coming at the issue from different angles, but they and other conference attendees shared a frustration with the current structure of the government (or recent Supreme Court decisions, or both). ^ Turley, Jonathan (2010-02-11). "Real political reform should go beyond campaign finance". Los Angeles Times. Retrieved March 8, 2012. ^ Sherfinski, David (February 2, 2015). "Virginia weighs joining convention of states effort to rein in federal powers". Washington Times. Retrieved February 25, 2015. ^ "Utah wins! State legislature becomes 14th nationwide to call for Convention of States". ^ "Progress Map: States that have passed the Convention of States Article V application". ^ a b Pollack, Cassandra (May 27, 2017). "Convention of states-related bill hits Gov. Greg Abbott's desk". Texas Tribune. Retrieved May 30, 2017. ^ Bogdan, Jennifer (June 20, 2016). "At R.I. State House, Wolf PAC lobbyists made late push". Providence Journal. Retrieved April 10, 2017. ^ Farrand, Max. The Records of the Federal Convention of 1787 (1937), vol. 1, p. 22. Also see "Records of the Federal Convention", The Founders Constitution, ed. Philip Kurland and Ralph Lerner (U. Chicago Press). ^ England, Trent & Spalding, Matthew. "Essays on Article V: Amendments". The Heritage Foundation. Retrieved January 18, 2017. ^ Rogers 2007, p. 1007. ^ a b c d Rogers 2007. ^ Caplan, Russell. Constitutional Brinksmanship, pp. 27–29; quoting Max Farrand, ed., The Records of the Federal Convention of 1787, 4 vols., (New Haven: Yale University Press, revised ed., 1937), 1:22, 202–03, 629. ^ a b Paulsen 1993, p. 764. ^ Ross, Rodney. Center for Legislative Archives, National Archives and Records Administration, March 12, 2007 letter to U.S. Senator Bernie Sanders, Vermont, "Unfortunately there is no single category for petitions asking for amendments to the Constitution, let alone for amendments by the convention route." ^ 129 Cong. Rec. S21538 (1981) (collecting applications calling for a constitutional convention since 1974). ^ a b Paulsen 1993. ^ a b Rogers & 2007 1017. ^ Farrand, Max. The Records of the Federal Convention of 1787 (1937), vol. 2, pp. 555, 559. ^ Rogers & 2007 1018. But there is yet a further consideration, which proves beyond the possibility of a doubt, that the observation is futile. It is this that the national rulers, whenever nine States concur, will have no option upon the subject. By the fifth article of the plan, the Congress will be obliged "on the application of the legislatures of two thirds of the States [which at present amount to nine], to call a convention for proposing amendments, which shall be valid, to all intents and purposes, as part of the Constitution, when ratified by the legislatures of three fourths of the States, or by conventions in three fourths thereof." The words of this article are peremptory. The Congress "shall call a convention." Nothing in this particular is left to the discretion of that body. And of consequence, all the declamation about the disinclination to a change vanishes in air. Nor however difficult it may be supposed to unite two thirds or three fourths of the State legislatures, in amendments which may affect local interests, can there be any room to apprehend any such difficulty in a union on points which are merely relative to the general liberty or security of the people. We may safely rely on the disposition of the State legislatures to erect barriers against the encroachments of the national authority. If the foregoing argument is a fallacy, certain it is that I am myself deceived by it, for it is, in my conception, one of those rare instances in which a political truth can be brought to the test of a mathematical demonstration. ^ Madison, James. Letter to George Eve, 2 January 1789. See also Madison's remark in the House, that it is ". . . out of the power of Congress to decline complying," in 1 Annals of Congress, 1 Congress 1, (May 5, 1789), p. 260; also available in Abridgment of the Debates of Congress, from 1789 to 1856, p. 47. ^ Elliot, Jonathan. The Debates of the Several State Conventions on the Adoption of the Federal Constitution (1937), vol. 4, pp. 177–78. Also available in "Debate in North Carolina Ratifying Convention", The Founders Constitution, ed. Philip Kurland and Ralph Lerner (U. Chicago Press). 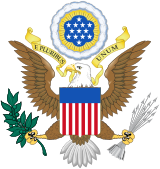 ^ "S.1272 - 93rd Congress (1973-1974): Federal Constitutional Convention Procedures Act". www.congress.gov. 1973-07-10. Retrieved 2019-01-25. ^ Sabato, Larry. A More Perfect Constitution (2007). ^ Rogers, 2007 & 1014–19. ^ Rogers, 2007 & 1010–20. ^ Shearer, Augustus. A List of Official Publications of American State Constitutional Conventions, 1776–1916 (1917). ^ Natelson, Founding-Era Conventions and the Meaning of the Constitution’s 'Convention for Proposing Amendments, 65 Fla. L. Rev. 615 (2013). ^ Rogers, 2007 & 1014–20. ^ Neale, Thomas H. (November 15, 2017). "The Article V Convention to Propose Constitutional Amendments: Current Developments" (PDF). Congressional Research Service. ^ "Hawke v. Smith, (1920)". Retrieved November 14, 2015. ^ "Dillon v. Gloss, (1921". Retrieved November 14, 2015. ^ Lawrence Lessig (February 8, 2010). "How to Get Our Democracy Back". CBS News, The Nation. Retrieved December 14, 2011. Part of the economy of influence that corrupts our government today is that Capitol Hill has become, as Representative Jim Cooper put it, a "farm league for K Street." ^ "Images of Article V Applications". Retrieved March 22, 2010. ^ It should be noted that the listing, prepared by the Friends of the Article V Convention, a group that believes that Congress has purposefully ignored its mandate to call such a convention, included, as of March 20, 2010, 39 entries where the state legislature rescinded one or more earlier applications. ^ Rogers & 2007 1008. ^ "17th Amendment to the U.S. Constitution: Direct Election of U.S. Senators". 2016-08-15. Retrieved December 23, 2016. ^ "Article5Library.com Article V Convention Application Analysis". Retrieved December 23, 2016. ^ There were only 46 states prior to admission of Arizona and New Mexico in 1912). ^ Rogers & 2007 1009. ^ MORGAN, IWAN (December 1998). "Unconventional Politics: The Campaign for a Balanced Budget Amendment Constitutional Convention in the 1970". Journal of American Studies. 32 (3): 421–445. doi:10.1017/S0021875898006008. JSTOR 27556477. ^ a b Rogers & 2007 1010. ^ a b c d e James V. Saturno; Megan Suzanne Lynch (January 8, 2018). A Balanced Budget Constitutional Amendment: Background and Congressional Options (PDF). Congressional Research Service. pp. 23–26. ^ "America might see a new constitutional convention in a few years". The Economist. September 30, 2017. ^ "H.J.RES.324 All Congressional Actions". THOMAS. Library of Congress. 1987-09-29. Retrieved December 17, 2010. ^ Pelzer, Jeremy (2013-11-22). "Ohio lawmakers join in push for national convention on balanced-budget amendment". Cleveland Plain Dealer. Retrieved 21 January 2014. ^ Oosting, Jonathan (2014-03-26). "Michigan petitions Congress for federal balanced budget amendment, constitutional convention". MLive. Retrieved 31 March 2014. ^ Arnett, David (2016-04-27). "Oklahoma Senate approved Article V Convention". Tulsa Today. Retrieved 2016-07-01. ^ "Welcome". Convention of States. Citizens for Self-Governance. ^ Ritz, Erica (2013-12-18). "Could a Convention of States Occur as Early as 2016?". The Blaze. Retrieved 5 January 2014. ^ Roller, Emma (December 4, 2013). "Conservatives' Improbable New 'Convention of States' Project". Slate. Retrieved 21 January 2014. ^ Benko, Ralph (2013-08-19). "Mark Levin's Game Changer: Using The Constitution To Arrest Federal Drift". Forbes. Retrieved 21 January 2014. ^ a b c d Weigel, David; Roller, Emma (December 10, 2013). "Inside the Secret Conservative Campaign to Rewrite the Constitution". Slate. Retrieved 21 January 2014. ^ Weigel, David (February 6, 2014). "Georgia, Tom Coburn Call for Constitutional Convention". Slate. Retrieved 26 February 2014. ^ Sherfinski, David (December 30, 2015). "Rubio backs call for constitutional convention to balance budget, impose term limits". Washington Times. Retrieved 4 January 2016. ^ Schouten, Fredreka. "In latest job, Jim DeMint wants to give Tea Party 'a new mission'". www.usatoday.com. USA Today. Retrieved 7 July 2017. ^ Harris, Andrew (September 23, 2016). "Tea Party co-founder holds convention in Williamsburg for amending Constitution". Williamsburg Yorktown Daily. Retrieved 4 October 2016. ^ Tinsley, Anna (September 30, 2016). "Is Texas ready to join a movement to rewrite history?". Star-Telegram. Retrieved 4 October 2016. ^ Farris, Michael; Ellis, Jenna (September 29, 2016). "A Convention of the States to Amend the Constitution". National Review. Retrieved 4 October 2016. ^ "July Newsletter". Article V News. Retrieved 11 February 2015. ^ Michael Hinman (15 January 2015). "Cusp of history: Pasco leads way to amend Constitution". The Laker. Retrieved 11 February 2015. ^ Michael Hinman (1 May 2014). "Florida first state to demand a single-subject Constitutional convention". The Laker/Lutz News. Retrieved 11 February 2015. ^ "CS/HM 261 - Constitutional Convention/Single-Subject Requirement for Federal Legislation". Florida House of Representatives. Retrieved 11 February 2015. ^ "S0368. Constitutional Convention/Single-Subject Requirement for Federal Legislation". GovTrack. Retrieved 11 February 2015. ^ "H0261. Constitutional Convention/Single-Subject Requirement for Federal Legislation". GovTrack. Retrieved 11 February 2015. Paulsen, Michael (1993). "A General Theory of Article V: The Constitutional Lessons of the Twenty-Seventh Amendment". Yale Law Journal. 103 (3): 677–789. doi:10.2307/797083. JSTOR 797083. Paulsen, Michael (2011). "How to Count to Thirty-Four: The Constitutional Case for a Constitutional Convention". Harvard Journal of Law and Public Policy. 34: 837. SSRN 1856719. Rogers, James (2007). "The Other Way to Amend the Constitution: The Article V Constitutional Convention Amendment Process" (PDF). Harvard Journal of Law and Public Policy. 30: 1005. Klein, Philip. "Is it Time for a Convention? ", American Spectator (October 2010). Natelson, Robert. "How past american conventions inspired the constitution's convention for proposing amendments", The Volokh Conspiracy (December 7, 2015). Natelson, Robert. "How the founders inserted the amendments convention into the constitution", The Volokh Conspiracy (December 8, 2015). Natelson, Robert. "How the states have used conventions and the amendment process to promote reform", The Volokh Conspiracy (December 9, 2015). Natelson, Robert. "How the judiciary's decisions shed light on the federal amendments convention", The Volokh Conspiracy (December 10, 2015). Natelson, Robert. "How the convention for proposing amendments became the subject of popular mythology", The Volokh Conspiracy (December 11, 2015). Natelson, Robert. "How the procedures for a modern amendments convention may unfold", The Volokh Conspiracy (December 11, 2015).